I’ve lived a life in plastic. Between the point of walking into a store, seeing something hanging from the pegs which speaks to all your child(adult)hood desires, you would go home, with no toy in hand, dreaming / fixating / aching to own it. You would throw every concerted effort your parents’ way – negotiating to do better at school, eat more fruit, read more books, whatever would seal the deal. When the day comes where you get into the car and you drive to the store and that figure is just waiting for you, just for you, you analyse every detail on the way home. You look at the paint details, the numerous accessories, the way the package has been designed, the choice of typography (I became an art director eventually) and finally the “Collect ‘Em All” ensemble of supporting characters part of that series, identifying who would be next. I’ve gone from making them battle in sandpits and bath tubs to elegantly being posed on shelves and office spaces. They have travelled with me through three provinces, a divorce, primary school, high school and university and now I’m the Gen X kid who refuses to leave Neverland, even though debit orders and taxes make life very real. I will always be that guy. This won’t be your normal action figure review. It’s a nostalgia log of sorts, because I think each figure I own comes with its own story. I will be breaking down what’s good and what’s bad about each figure, but trust me, I will choose them not based on rarity or collector’s value. They will be chosen from an honest place, because of how they resonate. I am going to start with a character that’s dear to my heart and the hearts of millions. Not just because of how iconic he has become, but how relatable he is. He has no super powers, he has skills (okay, and a bank account that would put corrupt politicians to shame). He is Batman. At the moment of this writing, I’m fighting the cold and dry Johannesburg winter with a pair of BatSlippers. 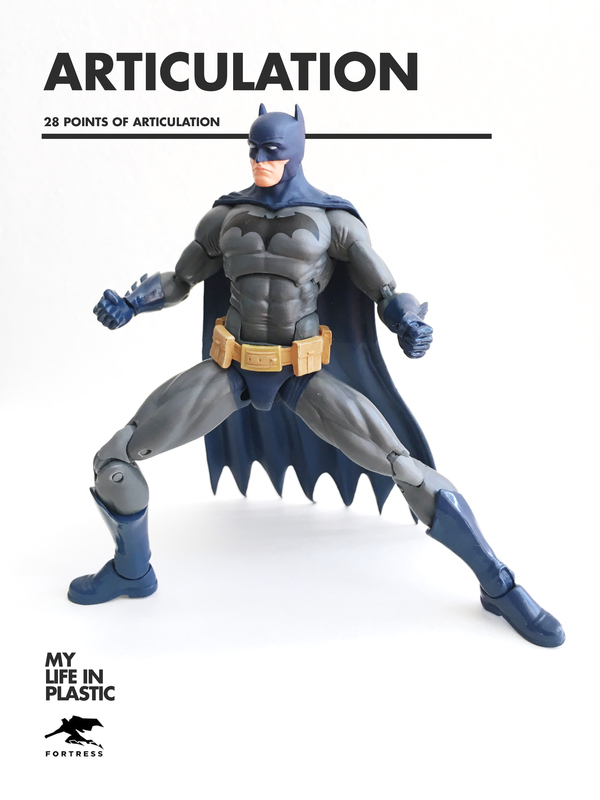 I’ve been collecting figures from DC Collectibles (previously DC Direct) for several years and while I have no problem with their statue-esque figures with minimal articulation, their newly launched DC Icons line has been at the top of fans’ most-wanted lists for a while now. 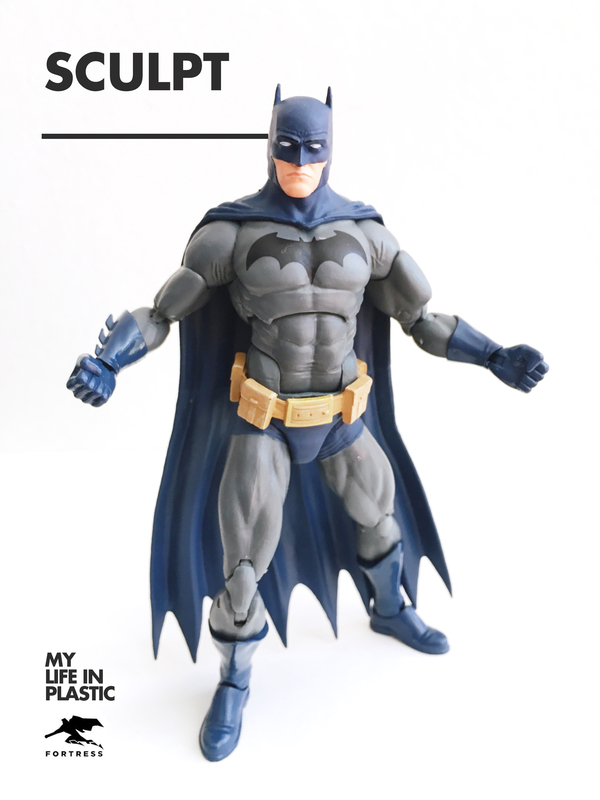 To rival the similarly scaled and articulated Marvel Legends line which has now thoroughly established itself at both 3.75” and 6” scale, DC Icons hits hard with its first waves. Drawing from revered arcs and timelines, there isn’t a steadfast chronology as with the polarising New 52 line, which I personally love. This version is taken from the Last Rites story arc, but it shares a definite aesthetic with the Jim Lee version of the Dark Knight featured in Hush. The black bat symbol on his chest is striking, with his grey outfit complimented with dark blue tones on his boots, gloves and cowl. His utility belt also features a very natural-looking dirty yellow tone. What is also striking is how the belt hangs around his hips, loose and not sculpted on. It makes for much more heroic silhouette. The figure’s articulation is incredible. DC Collectibles have freed these figures up so much, that you can go absolutely wild when styling them on your shelf. The dynamic posing is incredibly malleable. What bothered me was quite limited movement with his head, the ball joint allowing for smooth left-right motions, but it felt forced when trying to move it up or down. A minor gripe. Paint application is very well done, with one or two smears on the figure. I also think DC Collectibles went through a few teething problems at the time as they shifted manufacturers because of how bad the production on the Batman The Animated Series was. I also love the grey suit’s plastic moulding and how beautifully it contrasts with the glossy paint application on the boots and gloves. 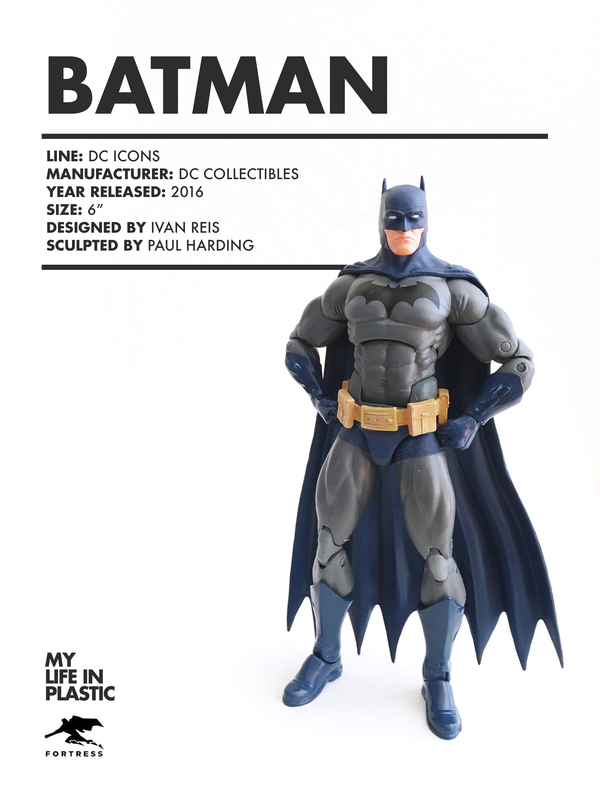 The DC Icons Batman comes with two Batarangs, two alternate hands and a hand with a grappling hook and cable attached. Also a definite upgrade over past DC Collectibles fare. The sculpt is also a beauty. I like the shorter ears on Batman’s costume as opposed to the nightmarish long, pointy ears. He isn’t too bulky or built, but feels more athletic in nature. The wrinkles on his costume also hark back to the days of Alex Ross’ Justice collection, emulating a real-world feel, grounding the character. I also prefer a moulded plastic cape as the cloth capes don’t do much for me. I had my fair share of Kenner cloth capes getting lost as a child, and the result is a chest full of capeless Batmen. 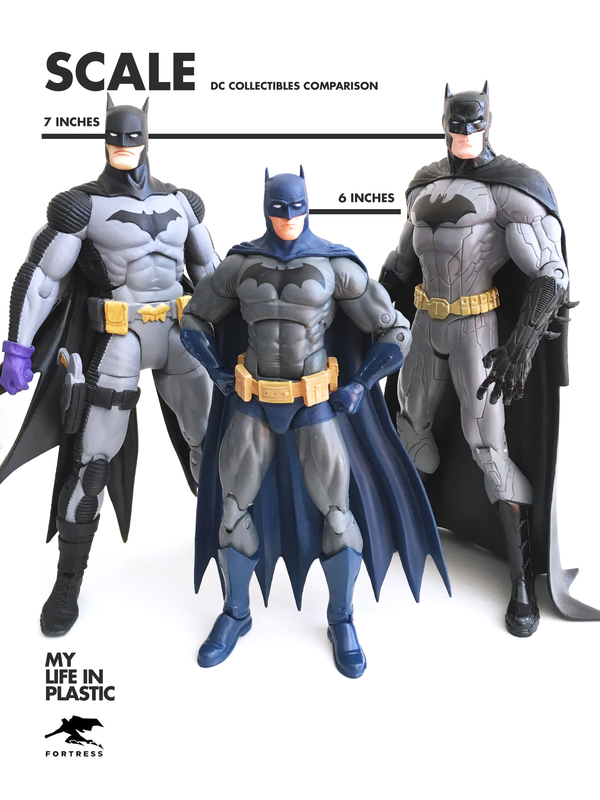 The scale of the DC Icons Batman figure, and the DC Icons line in general, has come under some scrutiny because of how autonomous they are within the DC Collectibles universe. I don’t care that they don’t fit with the rest of my older figures and this presents itself with the opportunity to collect with a brand new aesthetic and scale in mind. It comes in just over 6”, whereas older figures would scale between 6.5” and 7.5”. 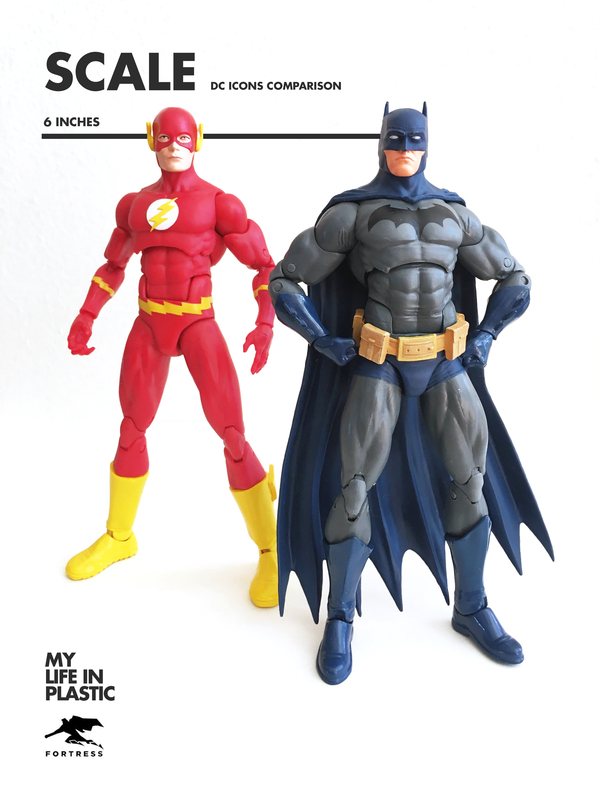 According to consumers who have bought the brand new DC Rebirth set, the scaling has pivoted back to the older 6.5”, so we’ll see if this is DC Collectibles’ way of retrofitting the line. Overall, this DC Icons Batman figure would be a fitting start for the new collector or the veteran who just wants a solid, classic iteration of the Caped Crusader. He definitely trumps those capeless Kenner Batman figures who envy his plastic cape.